About a month ago Rob and I were idly browsing the goodies of TK Maxx one lazy Saturday afternoon. 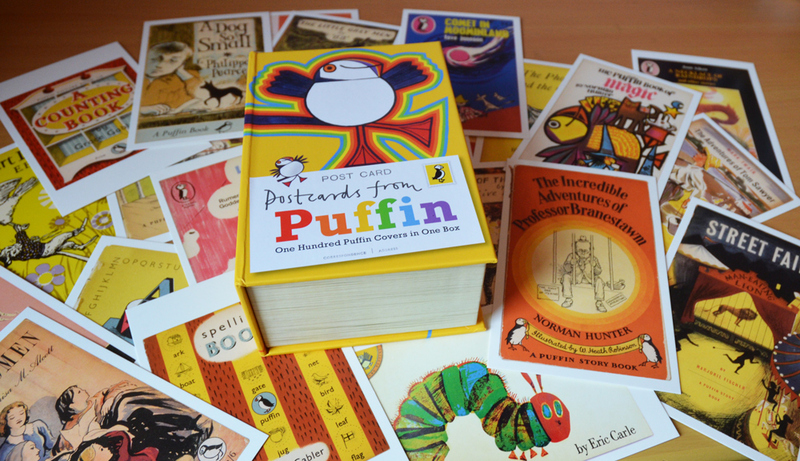 I was trying very hard to resist the lure of a new notebook when my eyes suddenly rested on a whole new temptation; a bright yellow box containing 100 postcards showing front covers from classic Puffin Children’s books! I get a nostalgia high just looking at this photo! I have plans to choose a select few and get them framed for the house, but in the meantime I have enjoyed just looking through the box and admiring all the artwork. I decided this weekend that I couldn’t wait any longer and found a way to get some on display without frames and nails. I wandered around the house with a handful of pegs and string trying to find a suitable location. In the end I found that there were two nails on the inside of my office door. 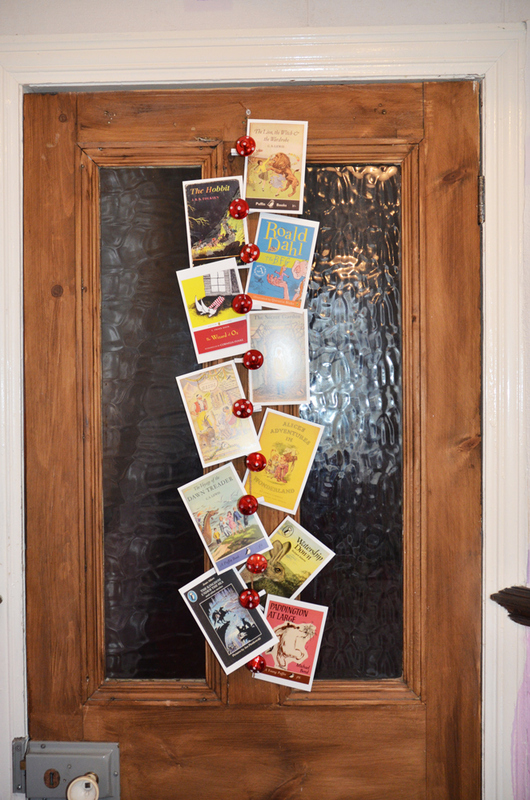 So I made a vertical washing line with string and used toadstool pegs to make a display of my favourite book covers. 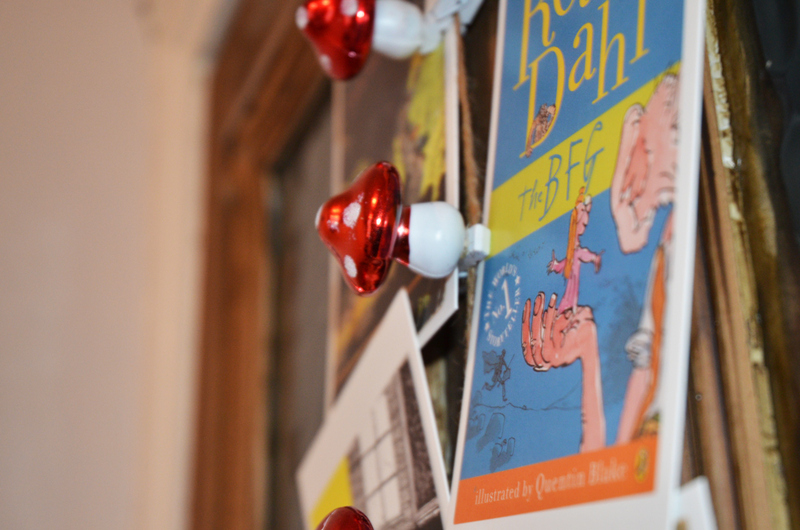 By the way I have to say how cute these pegs are. 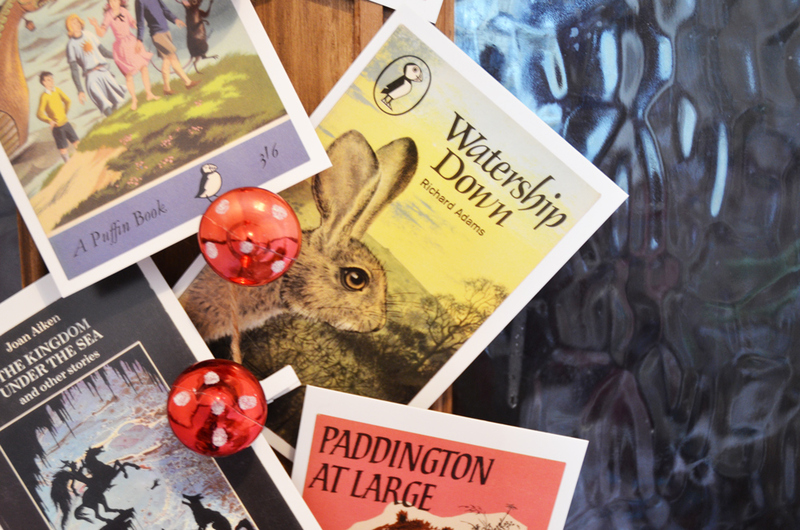 They are from notonthehighstreet.com. They are out of stock now, in fact the seller added in a couple of extra pegs in my order for free because mine were the last in stock! That was a nice surprise! 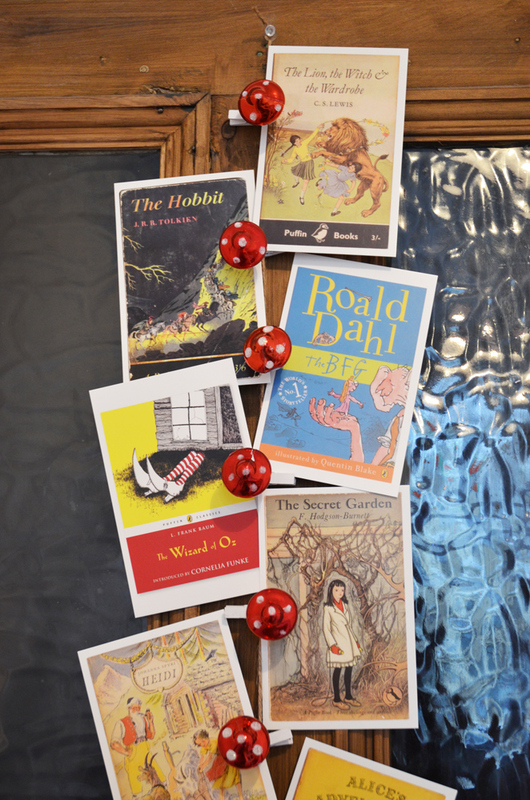 Some of my favourite childhood books are here like The Hobbit and he Secret Garden. I absolutely love the artwork of the Kingdom under the Sea! 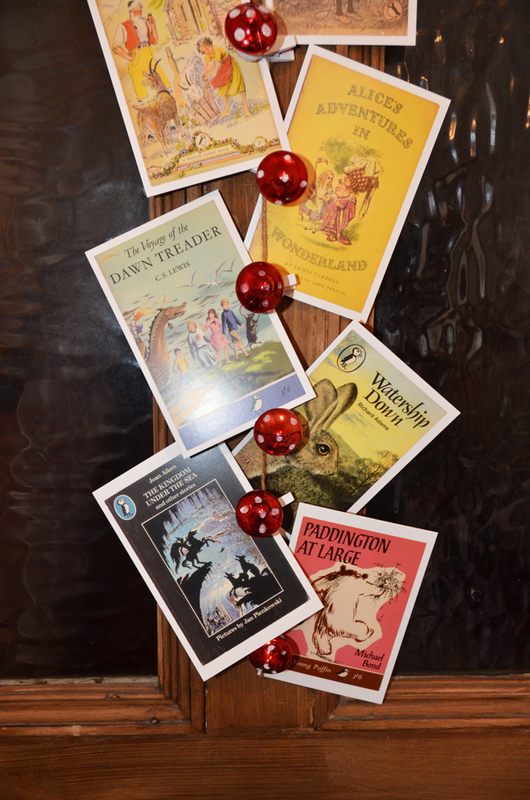 I am surprised that Watership Down falls under a children’s book, but despite it’s dark moments it is one of my most loved stories. My Dad and I have read his copy so many times that the pages are falling out! I am really happy with my little impromptu display! Now I just need to find a space for the remaining 90 postcards!